These boyish prints make handsome little outfits with soft cotton pants. 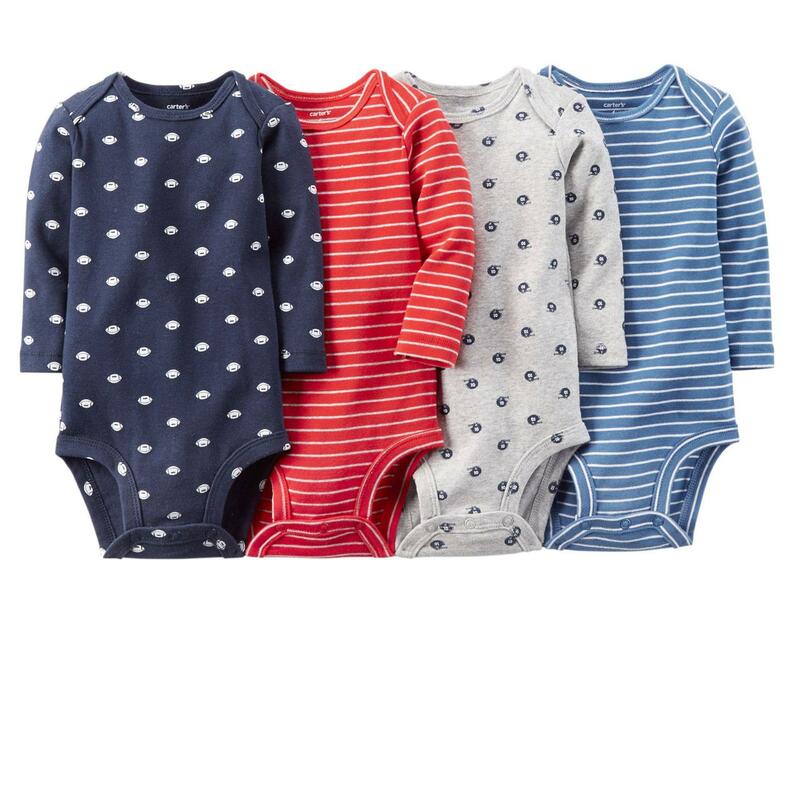 Your handsome little guy can be dressed accordingly with this pack of four newborn and infant boy's bodysuits from Carter's. Soft cotton knit fabrication keeps these long-sleeve bodysuits comfortable, while lap shoulders and a snap bottom facilitate easy changes. Assorted prints include striped, footballs and football helmets.